On June 21st General Inspection of the Ministry of Education and Science of Georgia started an inspection of schools whose pupils earned the lowest scores at the school-leaving examinations. According to the Law of Georgia on General Education, the school's administration is responsible for managing the educational process at their schools thus the school principals may face dismissal or other administrative punishment. 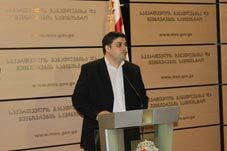 “It means that the school principal or the respective structural division is responsible for implementing the national curriculum, administering the legal administrative acts of the MES, managing learning process and reasonably handling the school finances,” Head of General Inspection of the Ministry Irakli Andriashvili announced at the briefing, explaining that the rights of the schoolchildren to a quality secondary education was neglected at the schools with the worst performance. School-leaving examinations according to the MES were successful for Georgia not only on an internal level but they were internationally praised as the foreign experts positively assessed the Computer Adaptive Testing (CAT) exams and started to consider its introduction in their own education systems. The school leaving exams in 1520 public and private schools were carried out without particular complications as 30 % of the 50 000 school graduates showed a high level of knowledge at the exams while 5 % out of them received the top grades. The outcomes of the exams have somehow proved that the learning process at Georgian schools has improved. However, despite the accomplishments, several schools (comprising 6000 entrants) performed at the lowest level thus the learning process at those schools is below satisfactory. Confident that the failure of the entrants had been caused by irresponsibility of their school principals, the Minister of Education and Science (MES) Dimitri Shashkin gave recommendations to the relevant boards of trustees to raise the responsibility of their principals. “The success of each school generally depends on their principals who are responsible for students’ educational background but unfortunately several Georgian schools showed unsatisfactory results at the exams,” Minister Shashkin worried. Public school of Tbilisi no 88 was among the schools whose students faced difficulties with the tests with many of them failing in overcoming a minimal competence level. “How each student would cope with the materials depends only on their abilities, so if the results of our school-leavers were lower than those of other schools, it is not the fault of the school administration,” Maia Mgvdelidze, the head of the school told the media. Zurab Zangurashvili, Head of public school no 3, gave a few examples of how the entrants used to decline optional classes giving the schoolchildren an opportunity to get prepared for each exam and raised the responsibility of their parents in neglecting the directions of the school. Their colleagues, Gia Murgulia Principal of public school no 24 and Amiran Chamagidze the Head of Public school no 1, agree with the idea that the directors are always responsible for the academic level of their school-children. Moreover they think that the principals define the status of each school. As a matter of fact public schools in Tbilisi and the regions will be inspected by the General Inspection of the MES and the results of their studies would become known to the public in a fortnight. Simon Janashia Professor of Ilia State University worried of the negative impact which the possible punishment of the school principals may have and explained that “the schools would now be oriented on how to easily overcome the problems rather than improve their results.” “Punishment is not the best way out of the current situation because the MES doesn’t give a specific explanation for their decision. The results of the entire educational course in Georgia depend not only on the school administrations but the Government,” Janashia told The Messenger explaining that the schools may lack access to resources and materials necessary for their development.